Two weeks ago, I had an experience of a lifetime lobbying six Congressional Offices in Washington DC as part of Citizens’ Climate Lobby‘s November Lobby Day. 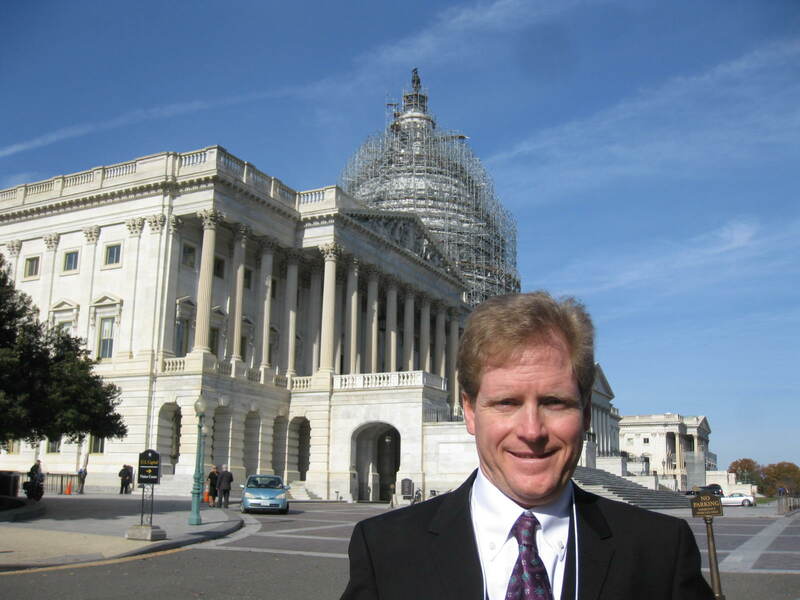 If you are not familiar with Citizens’ Climate Lobby (CCL), it was started in 2007 by retired San Diego real estate broker Marshall Saunders. CCL is a a non-profit, non-partisan, grassroots advocacy organization focused on national policies to address climate change. With over 307 active chapters in the US and worldwide, CCL lobbies Congress in support of its Carbon Fee and Dividend proposal. Its thousands of volunteers do this by building friendly relationships with our federally elected representatives and senators. Their one rule is that they do so with respect, appreciation and gratitude for their service when they meet with members of Congress or their staff. Citizens’ Climate Lobby has an annual Lobby Day Conference in Washington DC around the third week of June every year. At their June 2015 Lobby Day, close to 900 volunteers attended and they met with over 500 Congressional Offices. As I have blogged previously, my involvement with CCL started in April 2012. Unfortunately, I have not attended the June CCL Lobby Day in DC because of my commitment to my summer ranger job at Crater Lake National Park, Oregon. Thus, it was a dream come true for me to be able to travel to Washington DC and lobby Congressional offices on climate change on November 17 & 18, 2015. 1. We need to create a lot more political will so Congress will act on Climate Change. Unfortunately, the staffs of both Democratic and Republican offices say they are not hearing their constituents voicing a loud concern about climate change. The Congressional staff stated that their constituents seemed to be most worried about jobs, the economy and energy prices. Since then, you can probably add national security/the threat of terrorism after the recent Paris attacks to this list. Thus, Congressional Offices did not seem highly motivated to act on climate change. Therefore, if you are alarmed about climate change like me, then we must step up, organize, and let our members of Congress know that action on climate change is a top priority for us. It is vital to write your members of Congress. Check out this amazing TED Talk, Political change with pen and paper by Omar Ahmad, the former mayor of San Carlos, California. It is about writing effective letters to your local politician to get them pay attention to an issue you care about deeply. It should be noted that writing one letter is not enough. You should make it a regular habit to write letters, even a postcard, to your members of Congress. Regular stream of letters will enable climate change to rise to the top as a priority for Congressional offices. Even more, consider writing letters to the editor and opinion editorials in your local newspaper about climate change. It has felt very fulfilling and empowering to get letters and editorials I wrote published in local newspapers. Make sure you include your elected Senators and Representatives names in these published writings so it will catch their attention. Citizens’ Climate Lobby volunteer from South Carolina. Furthermore, send an e-mail to the staff of the Congressional Office to notify them of this newspaper editorial or letter to the editor. This reinforces the message that climate change is a high priority for you. For your US Senators and Representatives, mail letters to their local district offices, not their Washington DC offices. Because of the anthrax scare in 2011, letters going to Congress in Washington DC get screened for harmful substances. Thus, it could take up to 6 weeks for a staff or member of Congress to see your letter. Bottomline: Write letters to your members of Congress regularly and frequently. 2. It is more effective to meet with staff or members of Congress than to protest in front of their offices. While I was rushing to meet with Congressional offices, it was easy to see various protests in front of the Capitol Building about protecting our local police, closely screening Syrian refugees, and climate change. However, when I asked the Congressional staff, they knew nothing about these protest gatherings. Even more, they told me that protests in Washington DC are so common are the Capitol that they don’t even pay attention anymore. This made me feel more empowered in the 15 to 30 minute meetings I had with staff. I was able to look them in the eye as I shared with them my story how I witnessed climate change while working as a ranger in the national parks. In addition, I shared my story of living close to Meramec Coal Power Plant may have been a contributing factor to my Dad’s cancer. 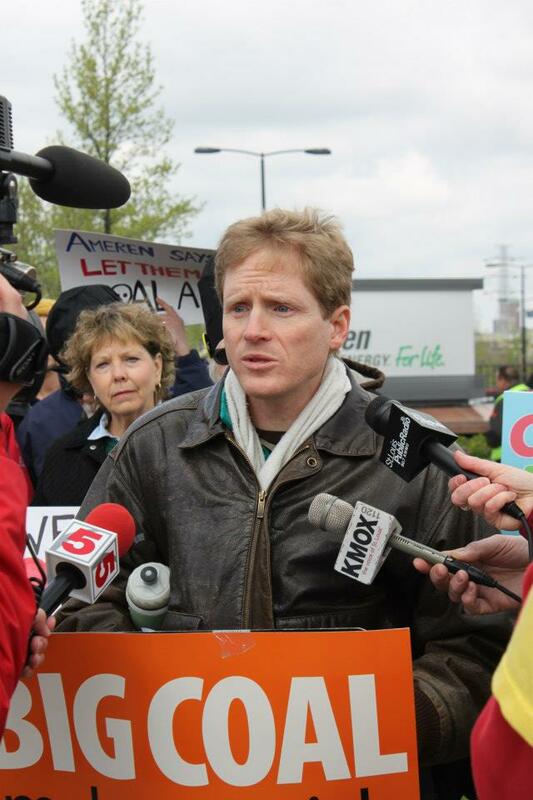 Yes, I have protested the Meramec coal plant and have been attended climate marches in St. Louis. However, it felt so much more empowering for me to share my story directly with Congressional Staff and feel them being emotionally impacted by my story. No way had I ever felt this level of satisfaction before from protesting in a march or even writing a letter to Congress. 3. It is a valuable learning experience to learn how they really feel about action on climate change. It was a helpful gift to hear where Congressional Offices stood on climate and CCL’s carbon fee and dividend proposal. First, none of the Republican offices that I met denied the science of climate change. At worst, some of the staff members would become awkwardly silent or started squirming in their chair when CCL volunteers or I would engage them on the negative impact of climate change on their constituents’ businesses. At best, the staff of one Republican Congressional Office told me that climate change is real and their boss would like to take action to address it. Clearly, I got the sense from the staff that they wanted to do something and this issue was not going away. All of the offices I spoke seemed unwilling to take the leap of action. a. No significant movement in Congress right now to pass legislation on climate. b. Climate change was a low priority for their voters, compared to the economy, jobs, and energy prices. c. Citizens’ Climate Lobby’s carbon fee and dividend proposal did not meet WTO & GATT compliance for world trade agreements. By genuinely listening and learning their objections, naturally led to my next lesson learned. 4. It is empowering to answer Congressional objections to climate change solutions. It was an uplifting experience to be a resource for Congressional staffs how CCL’s carbon fee and dividend solution is beneficial. a. In the House, Republican Rep. Chris Gibson recently introduced Resolution on Conservative Environmental Stewardship (H.Res 424), now co-sponsored by 11 other House Republicans calling for action on climate change. Yes, movement is happening in both houses of Congress among Republicans for climate change. b. We demonstrated that action on climate change is a high priority for voters. For this November Lobby Day, Citizens’ Climate Lobby showed it is creating the political will for action with around 140 volunteers traveling from as far away as California and Miami meeting with over 170 Washington DC Congressional offices. 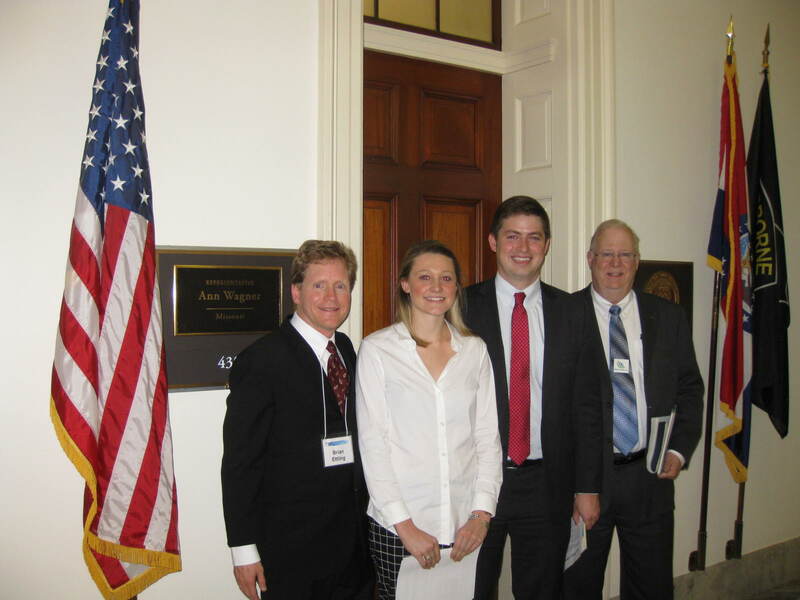 This was the follow up to the June 2015 Lobby Day with 900 volunteers meeting with over 500 Congressional Offices. Furthermore, CCL is getting the attention of Congress with with our actions so far in 2015 with over 1,155 meetings with Congressional Offices, 2,897 published media and over 12,832 handwritten letters to Congress. c. Citizens’ Climate Lobby completed extensive homework to show that its plan meets total WTO & GATT compliance for world trade agreements. 5. The rewarding satisfaction of giving a successful “off the cuff” sales pitch to a Congressional Staff. As noted above, Republican Congressional made it clear that offices President Obama’s EPA Clean Power Plan created “a poisonous political climate.” For me, it was thrilling to provide a counter argument that CCL’s Carbon Fee and Dividend allows members of Congress to go “on offense” instead of defense trying to stop President Obama’s Clean Power Plan. One Republican staff person told me that his boss spent most of his political capital “playing defense right now” with President Obama’s EPA Clean Power Plan. My response was that we are telling Democratic Representatives and staffs that carbon fee and dividend was a much better alternative than the EPA Clean Power Plan. The EPA rules are designed to reduce emissions from power plants by 30% below 2005 levels by the year 2030. Regional Economic Models Inc. (REMI), which conducted a 2014 study of CCL’s Carbon Fee and Dividend (CF&D) proposal, found that CF&D would achieve a 90% reduction below 2005 levels in the power sector by 2030. Thus, CCL’s carbon fee and dividend results in greater emissions reductions sooner, cuts emissions deeper, while growing the economy and creating jobs. This aide seemed to be very happy when he heard me say that CCL prefers carbon fee & dividend over the EPA Clean Power Plan because this EPA plan has basically no Republican support. CCL would much rather support a bipartisan solution in Congress. That plan is much more likely to be passed with broad approval. That Congressional aide was speechless. It felt like hitting a home run making this sales pitch to him. He was definitely considering my invitation to look at our proposal. It felt like I had carefully listened to the aide’s defensive position. I then invited him a positive step forward that could lead for a victory for his boss, the Republican Party, and our planet. 6. The technique of showing admiration, appreciation and respect for members of Congress & their staff works. Citizens’ Climate Lobby likes to say that their one rule is that their volunteers show members of Congress or their staff respect, appreciation and gratitude for their public service when they meet with them. Gulp. That one rule can be extremely hard. Often, CCL volunteers like me are meeting with the the members of Congress or staff where we have totally opposite points of view. In those instances, my first reaction would naturally be to yell at them and berate them for their deep ties to the fossil fuel industry. Sarah is an intern for Erik Rust. Erik Rust is Energy & Environmental Aide for Rep. Wagner. Larry is a CCL volunteer from Texas. Thus, I have had to learn to be very friendly, patient, and kind when setting up these meetings with Congressional staff. I made it a habit to treat them like lifelong friends. It took in some cases up to 10 e-mails and phone calls with the office receptionists to set up the meetings with staff. In every step, I made sure I was polite and friendly when setting up these appointments. When the Congressional staffs meetings took place November 17 & 18th, the tone felt very friendly and relaxed. It felt very easy for an exchange of ideas to flow. I looked at their objections and questions not as barriers, but my homework to provide future information for them. The other volunteers in the meeting and I consciously strived to listen carefully to their questions and concerns. Our goal in Citizens’ Climate Lobby is to be interested not interesting. We are interested in what they have to say and pay close attention, rather than longing to be interesting in who we are. As a result, it felt like the Congressional staff was interested in engaging us in conversation and then listening closely to our ideas. Years ago, I applied for a job for another environmental organization. During the interview, the hiring official wanted to know my experience of political organizing. I explained my experience using Citizens’ Climate Lobby’s technique of showing respect, admiration, and gratitude for Republican members of Congress and their staff. I totally respected this environmental organizer’s point of view. Yes, there are elected officials that I will be voting against on election day that must be defeated. I totally get political campaigns against politicians with awful to 0% voting records for protecting the environment. They should be defeated. On the other hand, these same elected leaders may still be holding office for years. I would much rather use Citizens’ Climate Lobby’s strategy of finding common ground with elected officials and working for solutions together with them. On the other hand, I see it as a very limited and polarizing strategy of just defeating them. 7. Meeting with the staffs of Congressional Offices was fun, rewarding, and inspirational. Citizens’ Climate lobby’s mission is to create the political will for a livable world by empowering individuals to experience breakthroughs in exercising their personal and political power. It was a lot of fun to plan this trip, do my homework to learn about the member of Congress and their staffs, spend time exploring Capitol Hill and Washington DC, walk around Capitol Hill to locate their offices, and see the mementos in their office that represents their district and state. 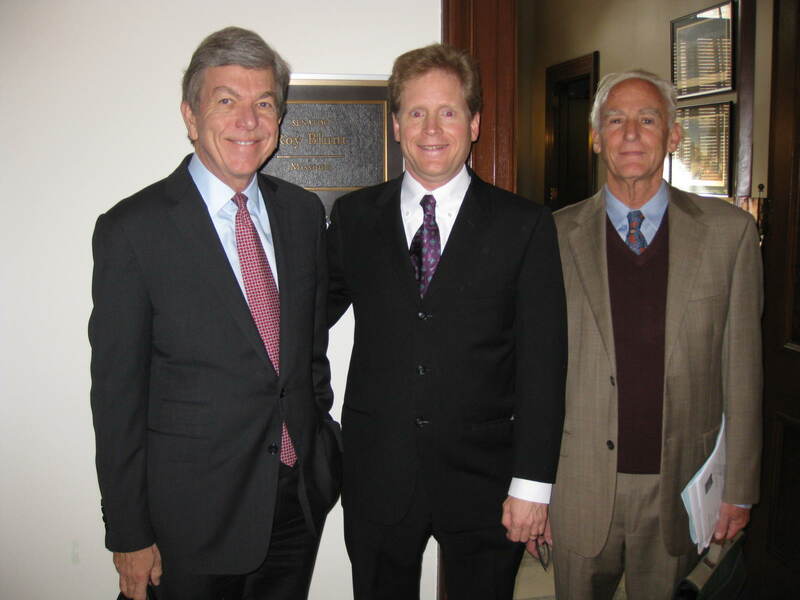 For instance, it amazed me to learn from the staff of Senator Roy Blunt that his office used to be the office of Senator and Vice President Harry Truman. I also had a meeting with the staff of Rep. John Yarmuth of Kentucky. His district it encompasses almost all of Louisville metro area, including the famous Louisville Slugger factory & Museum and the Kentucky Derby. Thus, it was fun to be greeted by a giant Louisville Slugger bat when entering his office and pictures of the Kentucky Derby. I wish I would have had time to step inside all 535 Congressional offices to see the valuable decorations from their home district or state. It did feel very empowering for me to personally engage the Congressional staff on climate change solutions. It felt like I was taking effective action on the issue that I care the most deeply. It stretched my comfort zone to chat with Congressional Staff who are making policy decisions and advising member of Congress. For years I had dreamed of going to Washington DC to lobby on climate change, it felt surreal and a peak life experience to actually do it. 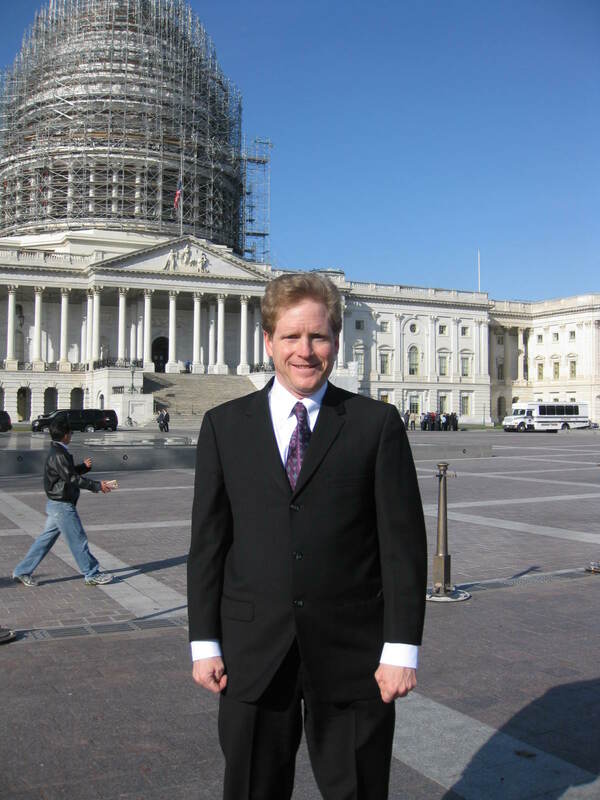 I hope to lobby in Washington DC again soon, especially for Citizens’ Climate Lobby. 8. 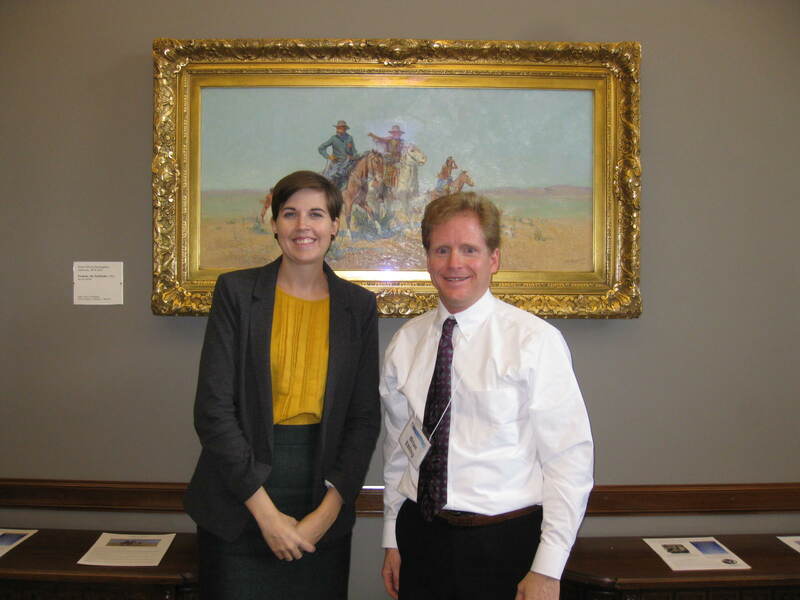 I got to lobby Congressional Offices with old and new friends. None of these meetings, I was alone. I had at least 2 to 4 other Citizens’ Climate Lobby volunteers in all of these meetings. It truly felt like teamwork. 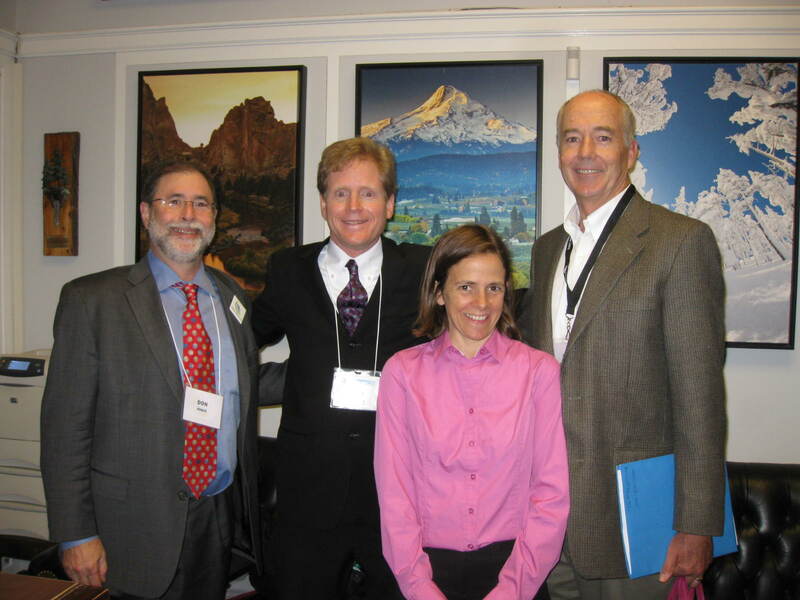 In all of these meetings, Citizens’ Climate Lobby Volunteers divided up roles: such as note taking, showing admiration for a particular action of that member of Congress, asking a specific request, seeing if the staff had questions, timekeeping to be respectful of the staffs’ busy schedule, and a leader to facilitate the meeting. This was always a relief because it never felt like the burden of the Congressional meeting was squarely on my shoulders. I still have a lot to learn about Citizens’ Climate Lobby’s carbon fee and dividend proposal. Thus, I was grateful to have friends in the meetings who knew more about their proposal than me. All of the other volunteers in the meetings were excellent at answering the questions I would have been more shaky at answering. Unfortunately, I did not get pictures of the Citizens Climate Lobby volunteers who were with me in each of the six meetings. The exception was the picture that was taken of the CCL volunteers who were with me before the meeting in Rep. Greg Walden’s office, shown above. However, Citizens’ Climate Lobby did get a group photo of all 140 volunteers, including me, who did get to lobby Congress in DC on November 17th and 18th. With all of the climate activists who could not make it to this conference because of work, school finances, or other commitments, this gives me tremendous hope that Congress will eventually pass significant legislation to reduce the impact of climate change. This entry was posted in Uncategorized on November 30, 2015 by bettling.